The Aegean Sea is geographically and culturally divided into different sailing regions, notably the Northern Sporades, the Dodecanese, and the Cyclades. And whereas the latter is often divided into the northern and the southern Cyclades. 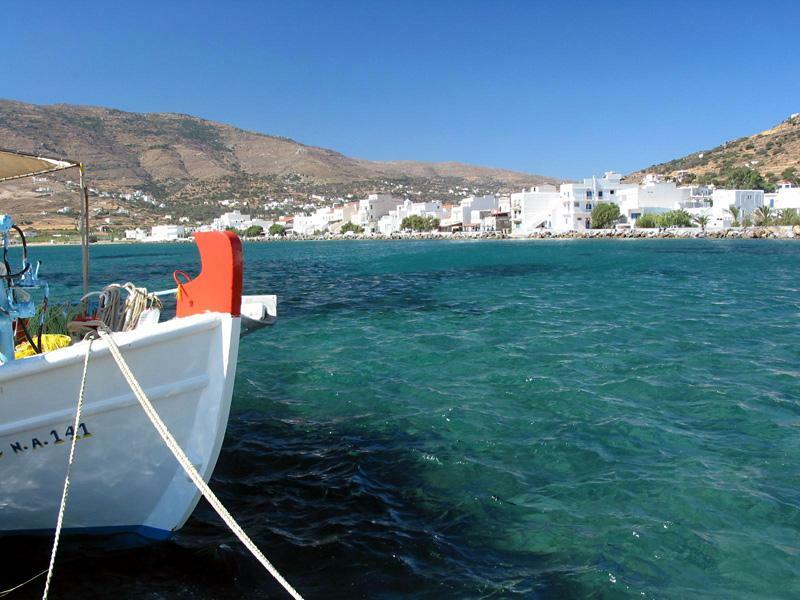 The island of Andros is one of the highlights of the northern islands, along with its closest neighbour, Tinos, and is often visited on sailing and cruising trips in the Cyclades. For sailing yachts especially the south east coasts of these islands are important because of the shelter provided from the prevailing northern winds. It is however forbidden to visit the nearby island of Yiaros or Giaros, primarily because of a submarine practice area. To the south it is a short sail to Mykonos from which one can cross towards Delos on a tripper boat. Although Mykonos itself is perhaps overrated, it provides a perfect stopover for must-see islands further south, such as Naxos and Amorgos. Indeed, Cyclades sailing without exploring Amorgos island isn't complete. From Andros island it is also possible to extend your cyclades sailing holidays towards the Eastern Sporades, especially Samos, Ikaria, Patmos and Chios are well worth crossing the open stretch of Aegean water between these two areas. Note, that because of the rather large fetch, the winds and waves can be quite impressive and the minimum yacht length (LOA) is about 30 feet. Since Samos and Kos are also large and picturesque charter bases (in the Sporades and Dodecanese respectively) you can also discover the north east Cycladic isles from there. Again, crossing the open stretch of Aegean water, is not recommended during the Meltemi, especially in August when these winds can be powerful. A further warning concerns the strong currents between Evvia & Andros and Andros & Tinos. Cyclades sailing in these parts of Greece is preferably done without a skipper or crew, because a bareboat charter offers the most privacy and freedom. Downside is of course that one of you needs to be qualified to handle the yacht properly, preferably officially certified by the Royal Yachting Association for example. It further helps to study my navigation course and mediterranean mooring and anchoring course. A second - and more luxurious - option is a crewed charter. Similar to the blue voyages along the Turquoise coast of Turkey, one can charter a motor sailer or gulet vessel to really enjoy your Cyclades sailing tour in all comfort. Naturally these gorgeous yachts are fully crewed, with cooks, hostesses etc. A clear comparison of the numerous Cyclades sailing options is provided on my famous yacht charters guide.